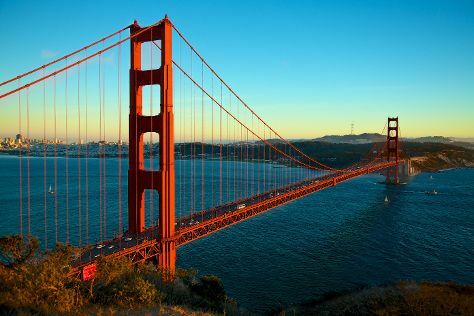 On the 15th (Thu), make a trip to Lombard Street and then take in the views from Golden Gate Bridge. For ratings, traveler tips, other places to visit, and tourist information, go to the San Francisco tour builder app . London, UK to San Francisco is an approximately 14-hour flight. You can also do a combination of flight and subway; or do a combination of flight and shuttle. The time zone difference when traveling from London to San Francisco is minus 8 hours. Prepare for a bit warmer weather when traveling from London in November: high temperatures in San Francisco hover around 20°C and lows are around 12°C. Wrap up your sightseeing on the 16th (Fri) to allow time to travel back home.